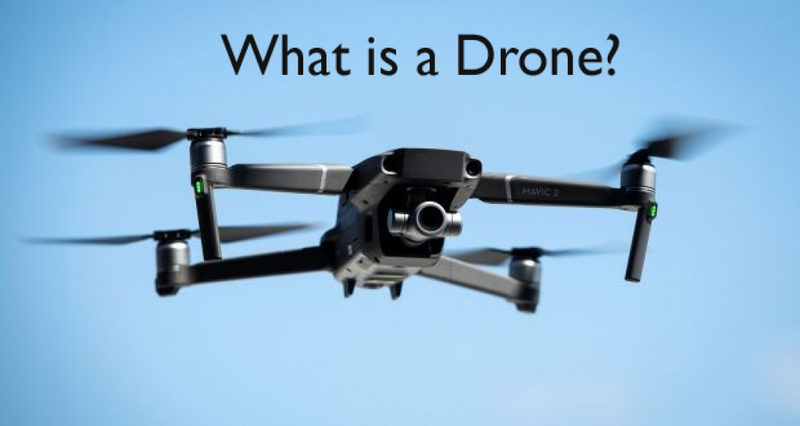 What is a Drone? - FPV, Quadcopter Drones | What is Drone used for? What is a Drone?? In space and in aviation, a drone refers to a spacecraft or unpiloted aircraft. Drones are generally used for the military purpose in order to avoid the pilot’s life at risk in some combat zones. Drone is generally known as an unmanned aerial vehicle, which is flown automatically by an onboard computer system or by remote control handled by a human pilot. What is a Drone and its Uses? What does Drone mean? Drones are originated in the military which is used in missions that are very risky for humans. Although the drones are originated in the military their use expanded day by day in many other applications such as commercial, agricultural, recreational, and scientific. It is essentially a flying robot that can be controlled by remote or fly autonomously with software flight plans controlled in the embedded systems, which works with onboard GPS and sensors. To know what does a drone look like, see the below image. Drones are also used in a wide range in weather monitoring, traffic monitoring, surveillance and firefighting as personal drones, and for business drone-based, as well as in agriculture, videography and even in delivery services. Unmanned aerial vehicle (UAV) either looks like a small helicopter or as an airplane. They are set apart as drones with two characteristics that are engine controlled or fly for a longer period of time. There are two different types of drones: a rotor which includes single rotor or multi-rotor (such as hexacopters, octocopters, quadcopters, and tricopters), or fixed-wing which include hybrid VTOL (vertical takeoff and landing) drones that don’t require any runways. In below article, you will come to know what FPV drone is in a very clear and detailed way. An FPV drone is also an unmanned aerial vehicle which has a camera and transmits videos to a mobile device, a headset, goggles or any other display wirelessly. The user with FPV drone has first person view (FPV) of environment that captures the still images and videos by flying the drone up. From the user view of the concept, FPV drone is just like flying telepresence robot that enables virtual presence and view of environment wherever the device is able to fly even though the human could not able to access physically in the environment. With the help of FPV drones, one can enter into the environment with effective search and rescue missions which are even unsafe to humans. Drones can locate people who are in dangerous situations with remotely piloted without much of physical presence. Drones are also used for inspecting physical infrastructure which is difficult to access such as high buildings and bridges. In agriculture technology, with the help of FPV drone, a farmer can survey crops and livestock very quickly when compared to ground-based inspection. A drone is also equipped with sensors to recognize and capture the environmental data for sophisticated analysis. With the help drone, one can facilitate precision agriculture to ensure that soil and crops receive exactly what they need for optimum productivity and health. Knowing what is a drone and exactly what is quadcopter will help you to avoid the confusion and misunderstanding. You can also locate the right drone based on your own uses. It is also known as quadrotor helicopter or a quadrotor. Each rotor on quadcopter consists of motor and propeller. These UAVs are controlled always by remote instead of an onboard computer program. Quadcopter looks like helicopters, but they get balanced themselves with the movement of blades and not with the use of a tail rotor. With this, it is clear that drone has a broad category whereas quadcopter is a specific type of drone which includes in that category. A drone with four rotors can only be considered as a quadcopter. The quadcopter is specifically used for recreational purposes. The frame that holds together everything. These drones are built very strong and reliable. Thus, they are able to last several flights and fly enough high without a lot of pressure on motors. Flight controller which is used by the person for controlling. There are four forces which act on the quadcopter. They are gravity, lift, thrust and drag. What is the drone used for? Drones are used in real estates and in constructions. They are used in remote sensing which carries sensing equipment in order to assist a number of functions. Drones use a LIDAR which is used to measure the height of a crop. Drones are useful in commercial aerial surveillance. These will be helpful for farmers to monitor the livestock on wide spreads of land. Fire department use drone to track the wildfires. Many private companies use this to monitor infrastructures such as buildings, pipelines and many such. 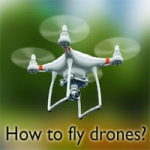 By using drones in business to inspect towers, power lines, roofs, chimneys etc. one can save the amount of money and would reduce liability exposure. They are used in oil, gas and mineral exploration. With help of some electromagnetic sensors, drones are used to gather information about the location of minerals, natural gas, oil, in a better and approximately. They are used in motion picture flaming. They are used in construction and real estate to gather video and imagery part of the home. Also in marketing materials in order to assist the selling process. Drones are extremely useful in recreational. Finally, drones are very useful devices that have many applications ranges from agricultural to national security. Quadcopter with the camera is used in aerial videography and photography. It allows people to capture beautiful pictures at different angles of a place with some new perspective to viewers. These devices are used to take photos of a volcanic eruption, floods from a closer distance. It makes possible for a photographer to capture a picture in a very clear and systematic way. Thus, by referring this article you can know what is the best drone to buy as per your requirement. For the latest information on Best Flying Drones, keep in touch with our site.